The Wheels On The Train Go Round And Round! 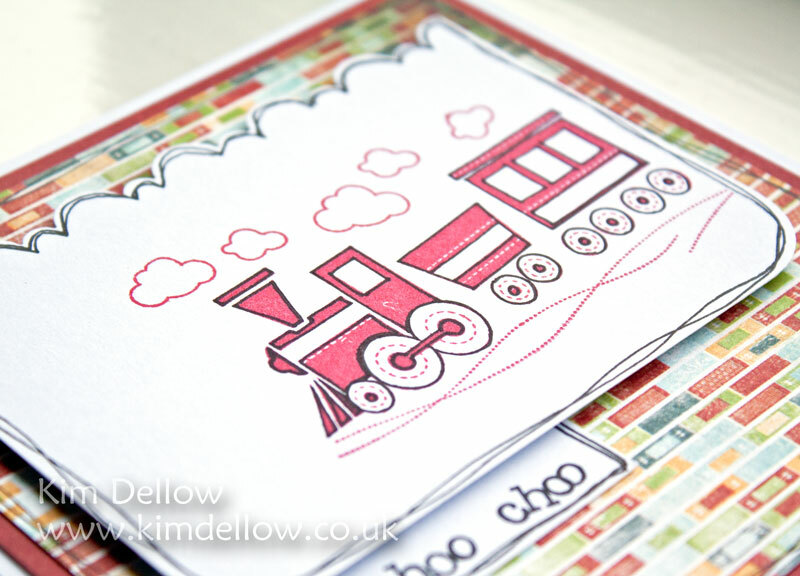 Ready for a bit of Fiskarettes with one of the Fiskars Continuous Stamps, this one is called Choo Choo and you can see why can’t you?! It is only a simple make but there is a step by step over on the Fiskarettes forum if you are interested. 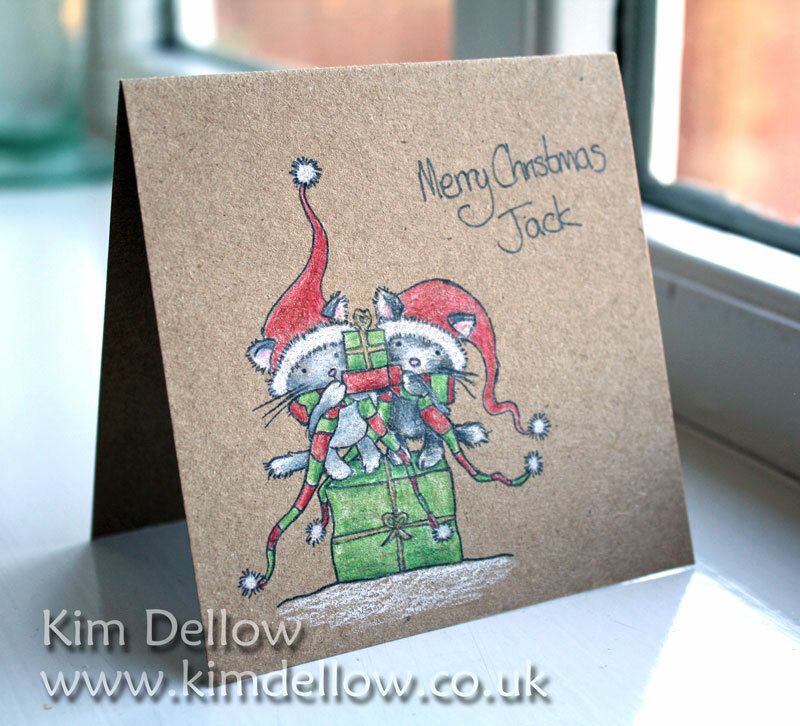 Ok, so as you know I don’t have any La-La Land Crafts to show today but I do have a little bit of cute to show, just in case you are having cute withdrawal from my blog! 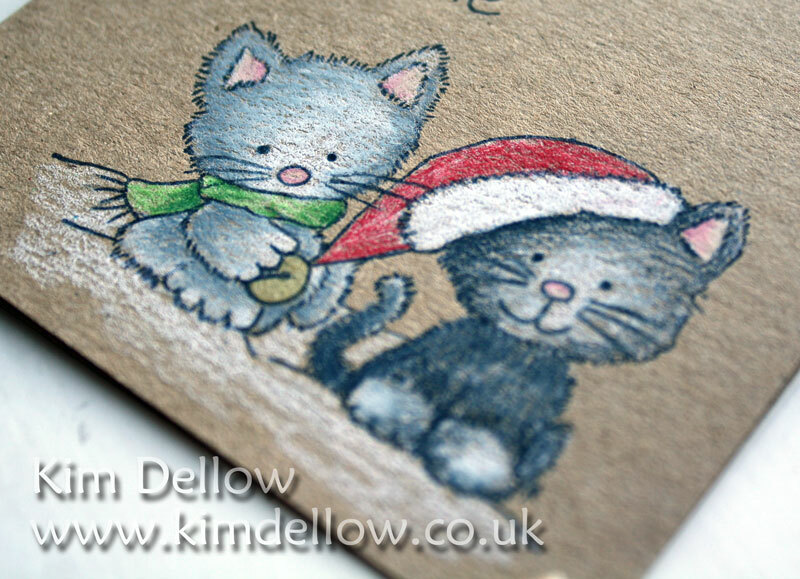 The cute is provided by the Lili Of The Valley Christmas Animal stamps – so cute! 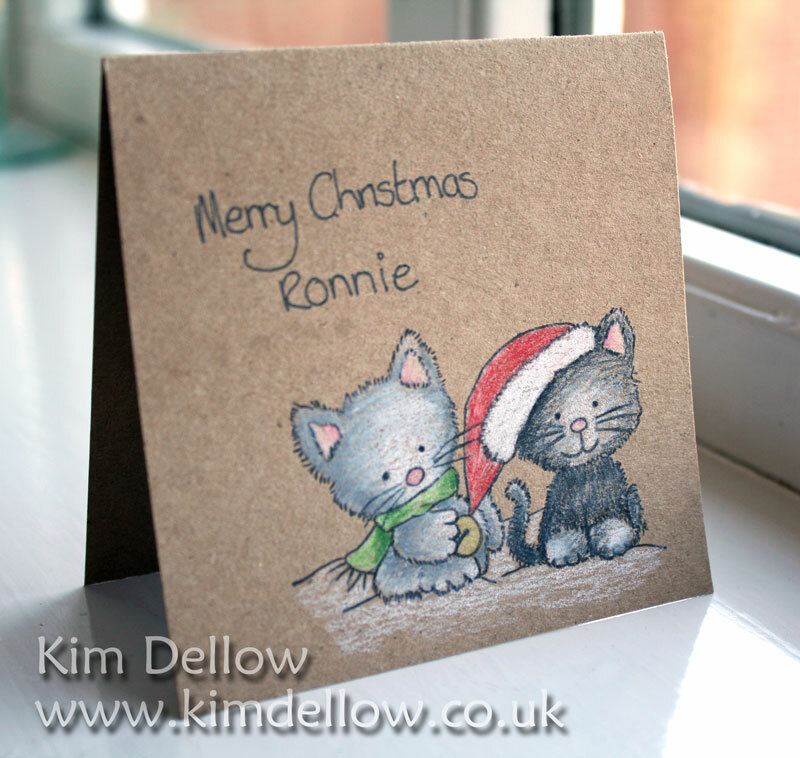 But, I’ve only made some very simple kids cards, embellishment free but focusing on the colouring. Yes I succumbed, but they are just so cute! 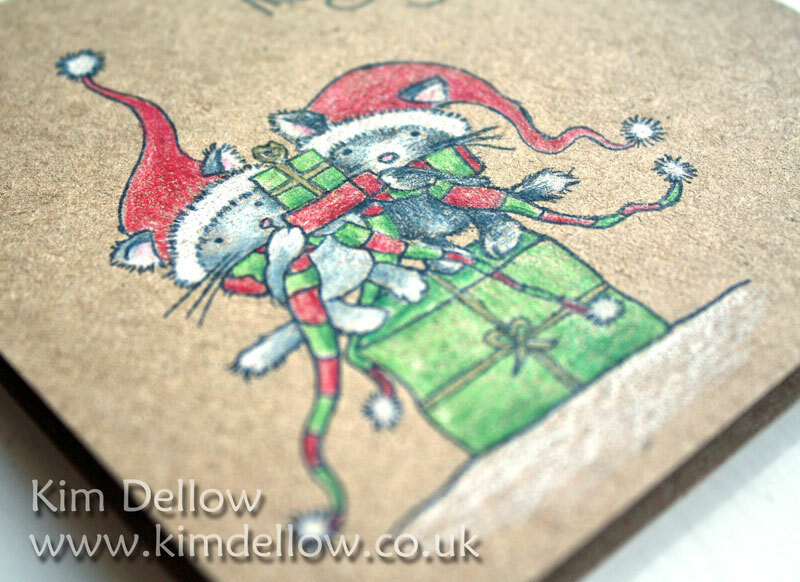 I’ve used Prismacolour pencils as usual but directly on the kraft card. I do like the way the pencils work on the kraft. 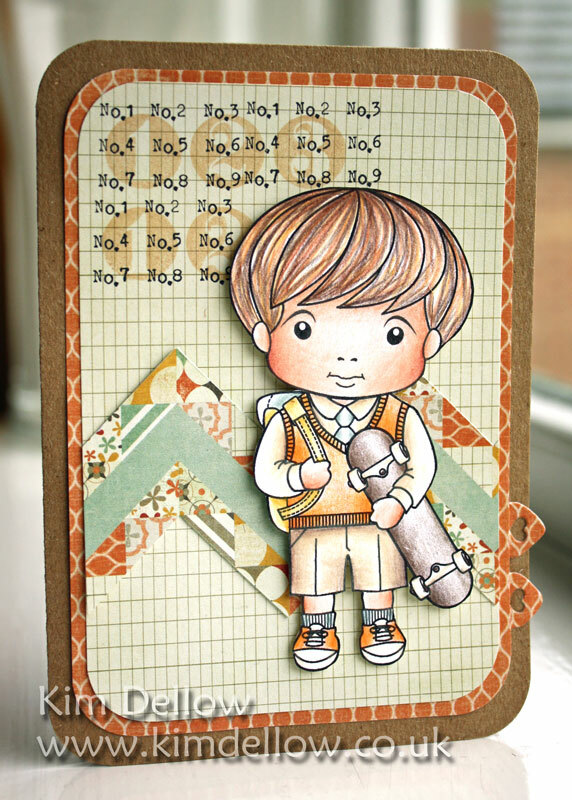 This one is not just cute – it is SUPER cute! Look at the kitties! ‘Ahem’ – sorry don’t know what came over me then! Got sidetracked by cuteness! Have a super cute Monday. 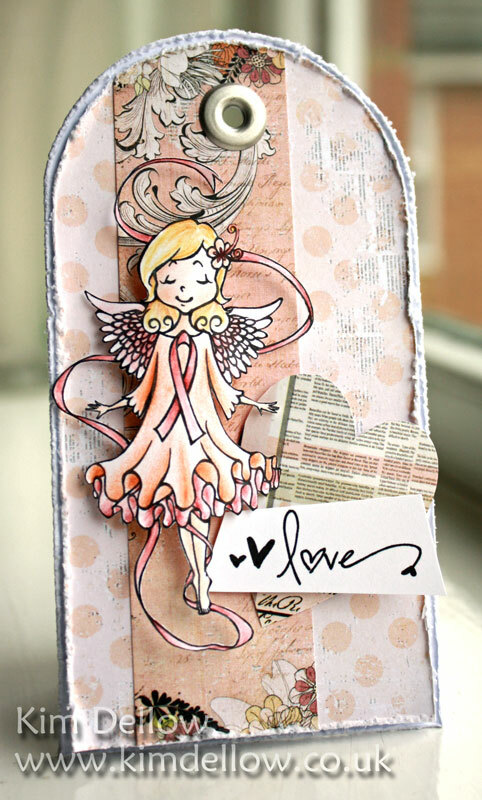 Hey all, I have another make for Sparkle Creations Rubber Stamps. 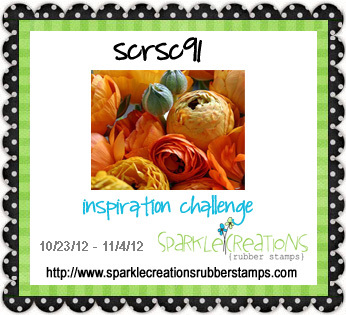 This make is for the Inspiration Challenge over at the Sparkle Creations Blog. 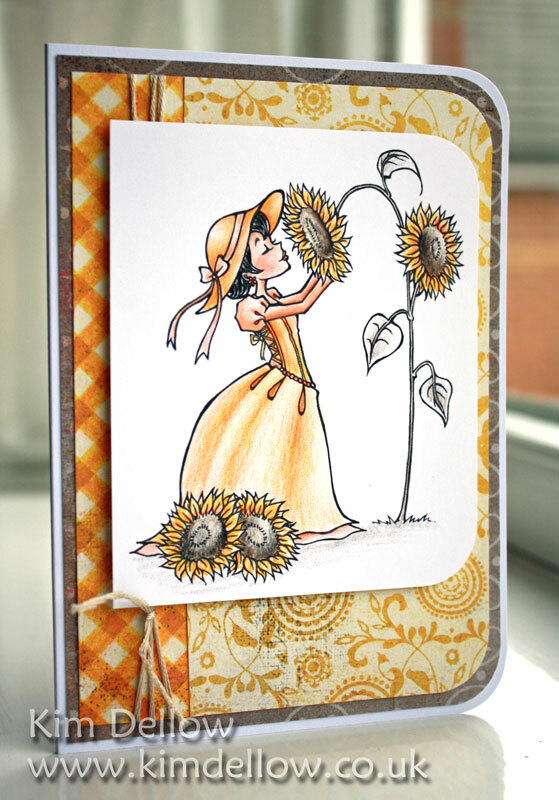 This lovely stamp is Sunflower Charlotte. Isn’t she pretty? The inspiration is a colour combo. 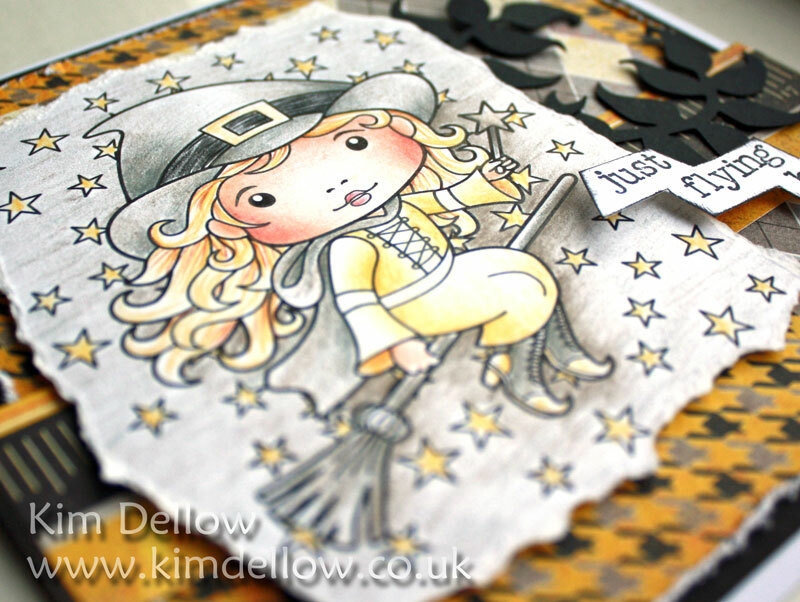 Go pop on over to the Sparkle Creations blog to checkout the challenge, it’s open until 4th Nov 2012. 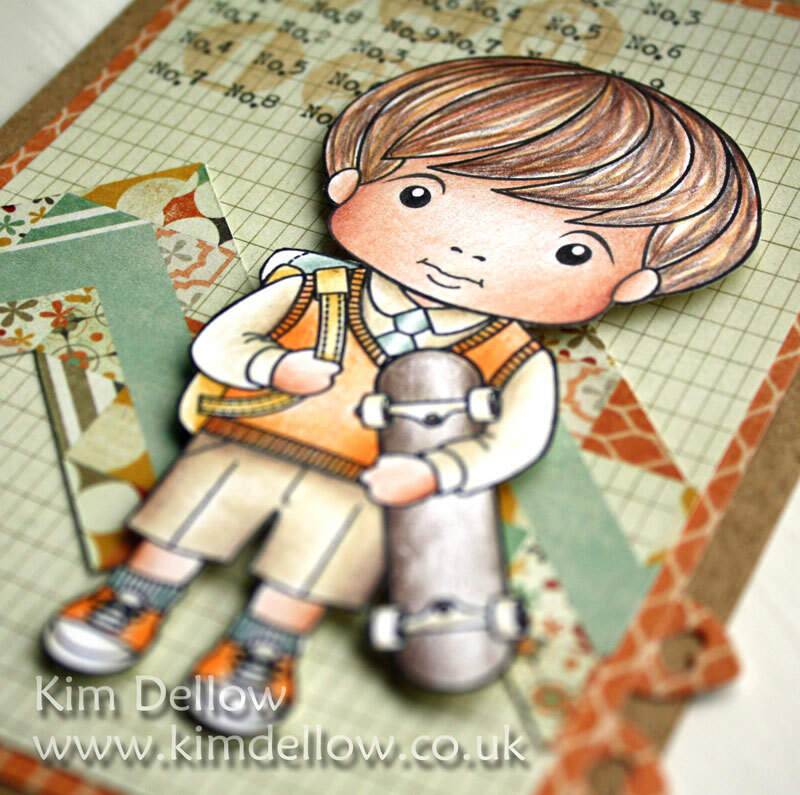 Kim Dellow – That’s me! Who is up for a challenge? Sparkle Creations Rubber Stamps is the sponsor over at Crazy 4 Challenges this week. 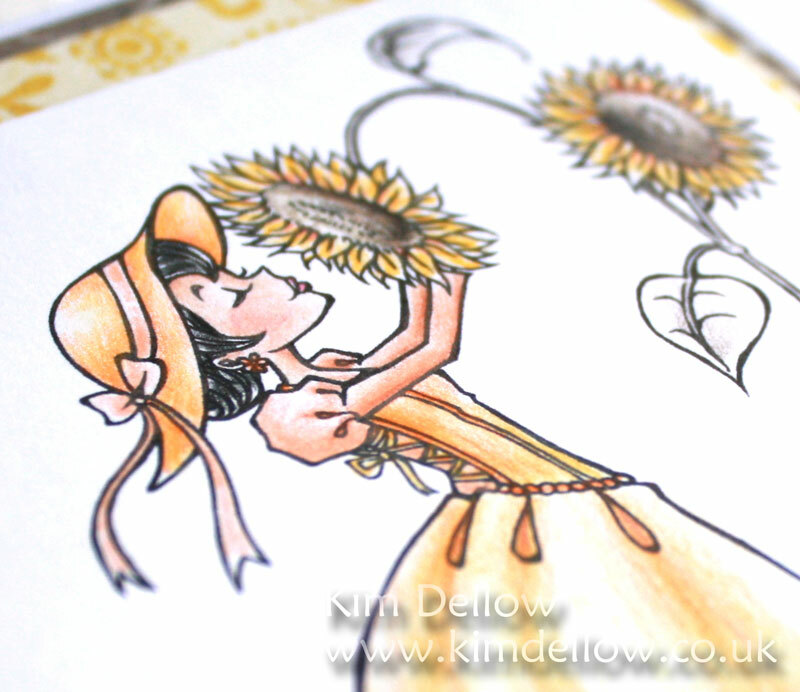 Great Halloween colours but surprisingly I haven’t got a Halloween card to show! Nope! 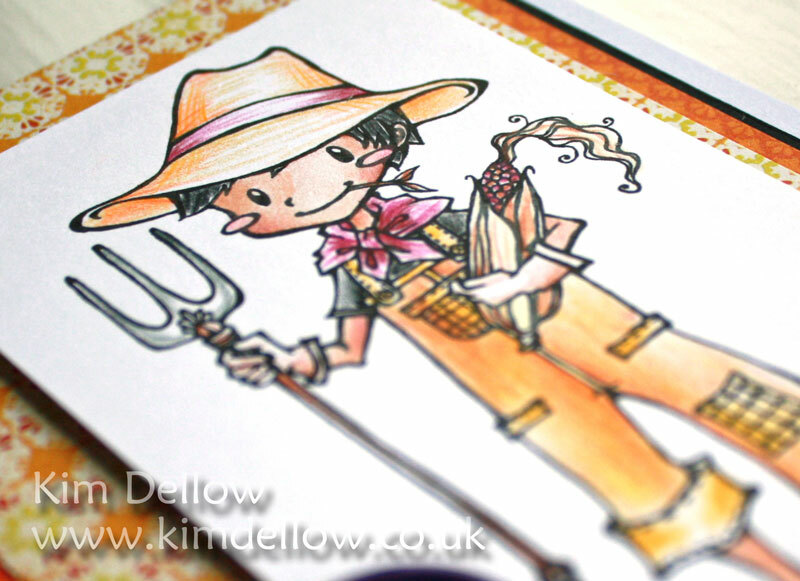 It is a Autumn card with Farming Oliver. Have fun with the challenge! Love to see what you do with these colours. 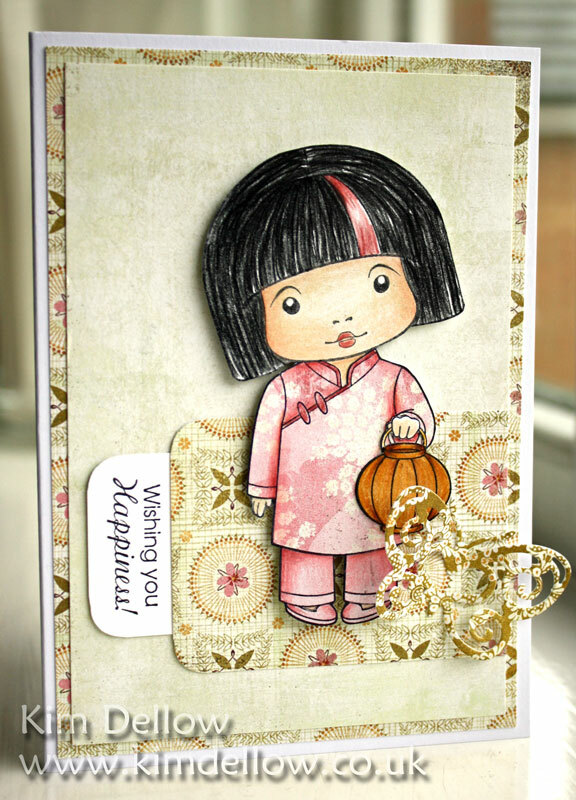 Welcome to the second preview for Sparkle Creations October new releases. Today the Sparkle Creations team has beautiful Pink Ribbon Emily to show. 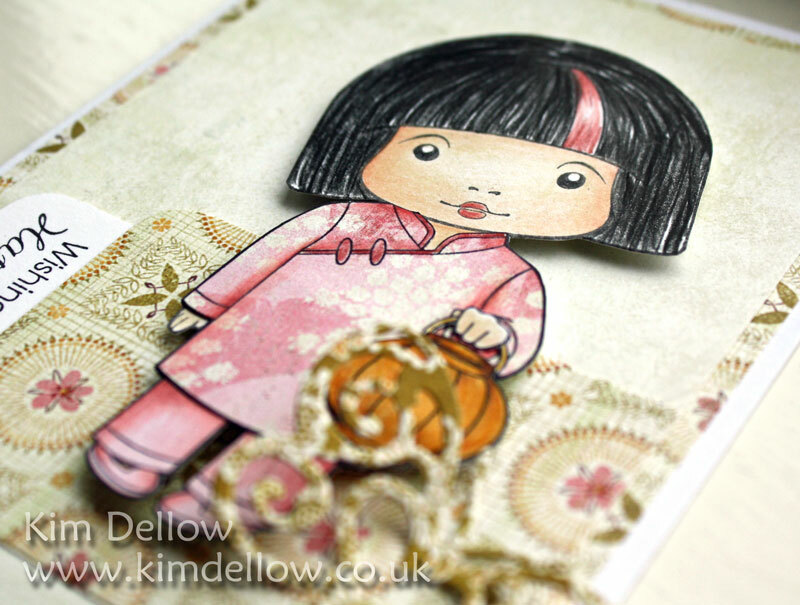 But there is more to this little lady – from Release Day through Halloween, all Emily stamps will be on sale for $6. This will be for Breast Cancer Awareness month and Sparkle will be donating the money made to the American Cancer Society. Moneytree will match the amount Sparkle donates – how fabulous is that? Be sure to visit all rest of the SCRS designers for more peeks of Pink Ribbon Emily. Sparkle will be giving away Pink Ribbon Emily to one lucky person! For a chance to win, you need to comment on all of the designer’s blogs (list below). Then head on over to the SCRS blog and comment on the Pink Ribbon Emily post. You have until midnight EST each day to comment. The lucky winner will be announced on Monday. 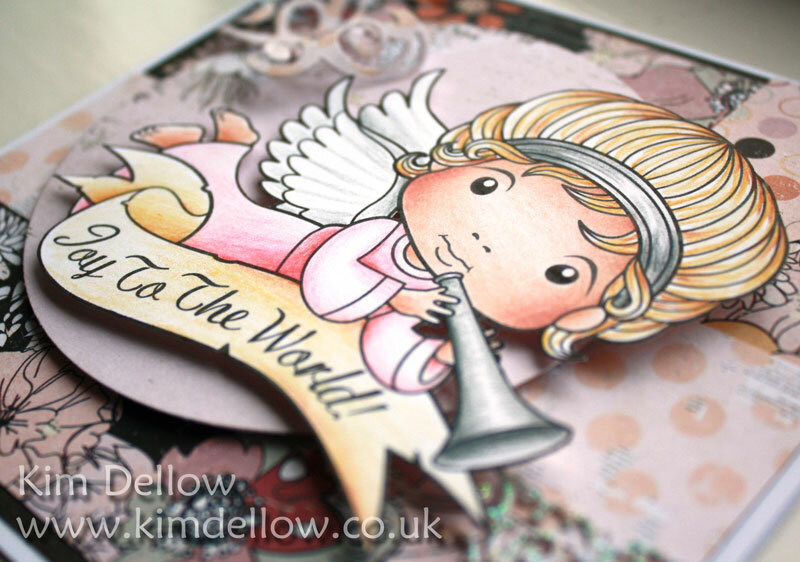 Kim Dellow – You are here! Have fun hopping around the teams’ blogs. Boy, this girl can natter! But I sure do want that cool telephone! 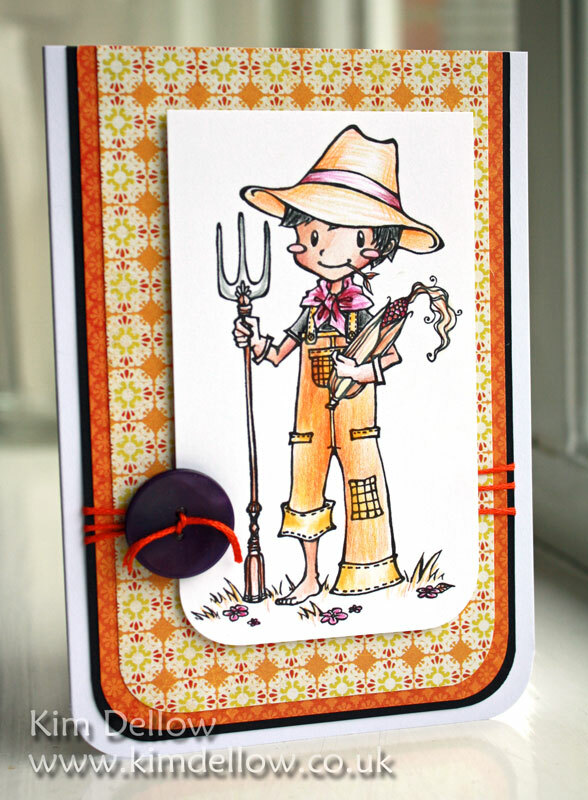 Be sure to visit all rest of the SCRS designers for more peeks of Chit Chat Lucy. 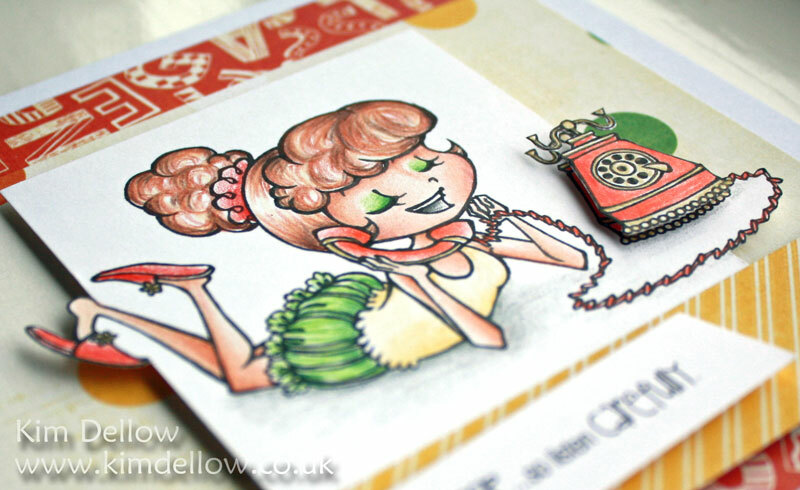 Sparkle will be giving away Chit Chat Lucy to one lucky person! For a chance to win, you need to comment on all of the designer’s blogs (list below). Then head on over to the SCRS blog and comment on the Chit Chat Lucy post. You have until midnight EST each day to comment. The lucky winner will be announced on Monday.